At CES 2017, Kopin released a new 1-inch OLED microdisplay panel, branded Lightning, with a resolution of 2048×2048 and a fast 120 Hz frame rate. Both are firsts for the VR industry and will raise the bar on performance. I and many others have said for some time that resolution, frame rate and latency in VR headsets need to improve quite a bit to offer truly compelling image quality. 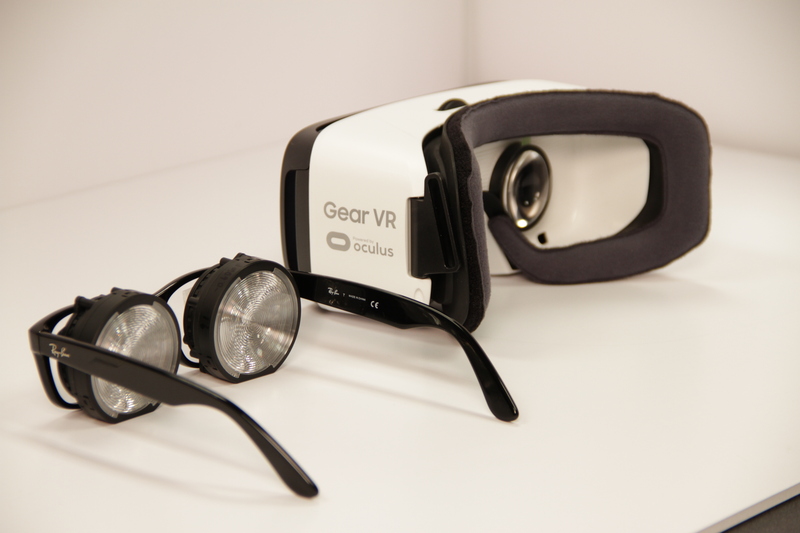 This new display takes a good step in this direction and should power high-end VR products. The display is an OLED-on-silicon type that uses a white emitting OLED material with RGB color filters. 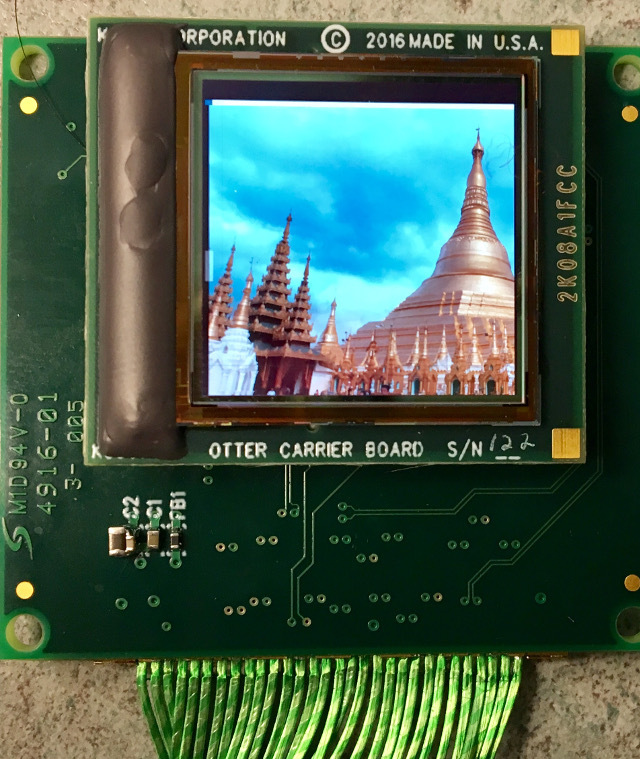 Kopin will manufacture this display using a new fabless model for both the silicon backplane and OLED frontplane (see more details on this in Kopin’s New OLED Microdisplay Foundry Model is Innovative). Kopin now supplies LCD, LCoS and OLED microdisplays plus optical modules to serve various commercial, military and consumer electronics segments. For comparison, the HTC Vive and Oculus Rift both use two Samsung direct-view OLED panels with a Pentile pixel structure and 1200×1080 resolution per eye, refreshed at 90 Hz. The PlayStation VR headset also features a direct-view OLED panel, but with conventional RGB pixel structure and 960×1080 resolution per eye, refreshed at 90 or 120 Hz. Two Kopin 2Kx2K displays will be used for a VR headset, and the increased resolution and frame rate will clearly improve image quality. In addition, the small size of the Kopin display allows much more compact and lightweight VR headsets, a highly desirable feature if not a requirement. Kopin’s module with new thin patented Pantile optics provides 90° diagonal field of view and should reduce the size of VR systems to less than half of VR headsets from Oculus, HTC or Sony. Although the Pantile optics design was not disclosed, it appears to be based on a novel Fresnel optics concept. Kopin thinks the module is so sleek, it might even be suitable for eyeglasses-type designs. Key electrical specifications of the Lightning display are noted in the table below. Some specifications are still being finalized, such as luminance, power consumption and color gamut. However, I can say that the brightness of the first samples we saw at CES was a bit lower than 200 nits and, when viewed through the Pantile optics, seemed bright enough for VR applications. The color gamut also looked less than their goal 100% of sRGB / Rec. 709 based on the initial samples shown at CES, but this is expected to improve shortly and reach the goal for mass production, scheduled for late 2017. Perhaps the two most important specifications of the device are the latency and power consumption. 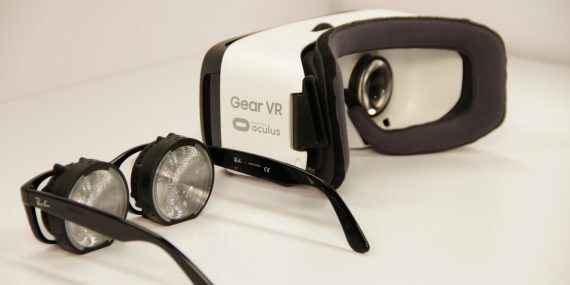 The estimated power consumption of 500 mW is about half of what Kopin thinks competitive VR headsets consume for the display with the same resolution and frame rate. Such power savings mean longer operational time and less heat near the head – a non-trivial benefit. The display exhibited no apparent increase in temperature while in operation, something you can’t say about any OLED displays I have seen. Latency is also an astoundingly low 10 microseconds. While the most important specification in a VR headset is the motion-to-photons latency, much of this system latency is out of the control of Kopin. But with a very low display latency and fast refresh rate, at least Kopin has minimized their part of the processing chain to allow a low-latency headset design from one of their customers. Kopin’s CEO John Fan told us in an interview that the key to these new panels is the backplane design, which is all new and developed in-house. The Lightning architecture has very unique features such as higher speed, lower power, and random access among others. There are 10 pending patents on this architecture. 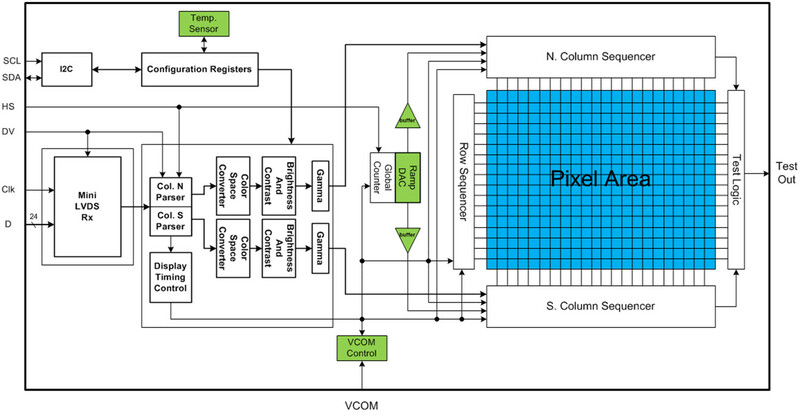 As noted in the block diagram below, all of this logic is located in the silicon backplane. 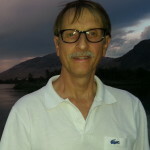 No external FPGA, ASIC or display driver board is needed to operate the display, but additional logic would be required for format conversion capabilities or other signal interfaces. 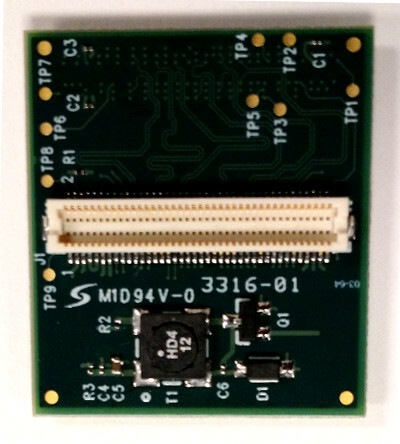 Signals come in over the LVDS bus in either 24-bit RGB, 24-bit YCbCr 4:4:4, or 16-bit YCbCr 4:2:2. Conversion between these formats is done internally. Gamma correction is done internally in 10 bits, although delivered to the OLED panel as 8-bit. The display has a temperature sensor so it can adjust the gamma and contrast to ensure consistent picture quality. In terms of cost, this will depend very much upon the volume of the order. However, Fan envisions a path to reach $50 per panel for volume production in the future, which would allow for companies to create more cost competitive consumer VR headsets.